Some things, I dislike finishing. Dislike is the wrong word. I’m wary of. Finishing is so final—the end of tinkering means the end of power. I finally finished a crochet toddler blanket, which is to say I wove in the ends. It was really done for weeks but I couldn’t bring myself to ‘finish’. I typically betray/suspend pieces right before they’re complete, so I have a pile-up of crochet pieces in the cupboard with one little thing incomplete. That way, they’re never over. That way, I can still unravel, change, tinker. As long as something is continuous, time feels like a string. When I end something, the air feels hollow. I do this with books too, the ones I read and the ones I write. Which is probably why I rarely submit individual poems. To submit is to admit I’m done, at least for the moment. I finished the second proofs of Monsters and Fables, my next book of poems, and sent them to the publisher. The book may be out in a couple of months. That’s the aim anyway. I’m jittery, brittle but heading to a place of indifference which helps me deal. In a few months, I’ll look at this book and feel entirely disconnected from it. I traveled to Los Angeles with no copies of City of Water. Not a single one. My classmates were baffled, probably thought I was lying about having a book out–“you didn’t carry a single copy?” I couldn’t explain it. 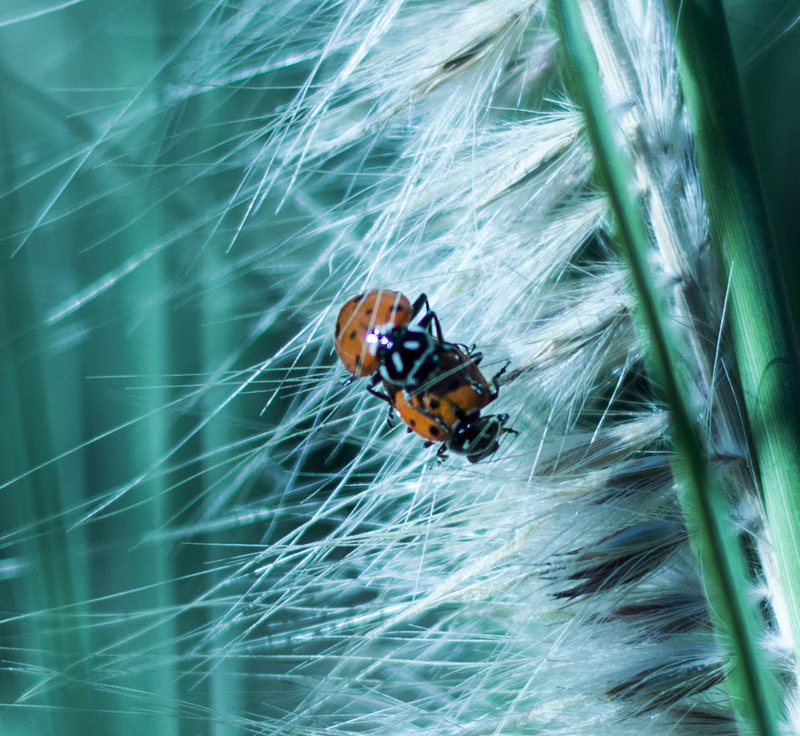 And the other morning in the garden, ladybugs — three or four different pairs — mating on the Pennisetum.